More than 10,000 visitors are expected to return to the Melbourne Exhibition Centre for Safety In Action and Melbourne Materials Handling will see more fresh OHS exhibitors and an entirely new fire and security feature area. WriteRelease have highlighted their views on new exhibitors and the new fire and security feature area for Safety In Action. The new feature area will host suppliers of fire preparedness training, investigation training, fire monitoring systems, closed circuit television (CCTV), intercoms, access control and security systems. According to Trevor Pillinger of Salamander Fire Australia, former fire officer and first-time exhibitor, fire and security complements the OHS and materials handling focus of Safety In Action and Melbourne Materials Handling. The OHS Act stipulates that employers take reasonable steps to make their workplaces safe and that goes beyond everyday operations to include getting them out in an emergency, Trevor Pillinger added. OHS professionals and facility managers alike need to be aware of what is required under Australian Standard AS3745 and be able to access the expertise to develop a proper emergency plan. Fire safety and flash protection will also be highlighted by textile wholesaler and developer Westex, which will have its Indura Ultrasoft fire retardant fabrics on show. The fabrics are designed to protect welders, electricians and other workers exposed to heat and flames. The new fire and security feature area continues the expansion of Australia's longest running workplace safety event, which last year spawned Melbourne Materials Handling, a show dedicated to lift, shift and load. 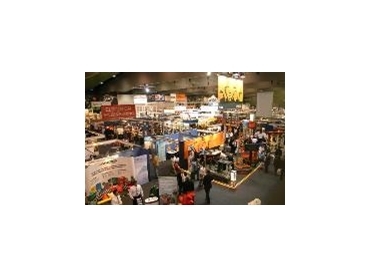 Exhibitors never seen before at the two events will showcase robotics, spill control, logistics software, personal protective equipment (PPE) and clothing, height safety, storage, training, vacuum lifters, hoists and even blood screening services. Visitors to the Commercial Health Project stand will be able to see a microscopic view of their own blood using Hemaview technology or enjoy a free head, shoulders and neck massage. Claudia Bernardi, Commercial Health Project said that Hemaview allows them to investigate the size, shape and ratio of red and white blood cells and platelets in the blood. Live blood analysis provides an accurate and immediate indication of the state of the general health. Checking the health of employees is the first step in a wellness programme that lifts the productivity of workplaces, particularly as the country's workforce becomes older and more overweight. At the other end of the spectrum but still focussed on lifting productivity, Melbourne Materials Handling exhibitor Specialised Stage Engineering will show off their Prolyft chain hoists. The 250 to 2000kg capacity hoists. Each Prolyft hoist is equipped with an identifying RFID tag that is linked to a full maintenance history, complete with certification details, load testing and service records on the Specialised Stage Engineering web site. Full service is also offered by Test and Tag Training and its sister brand, Appliance Testing Supplies. Exhibitor, Jason Kiekebosch believes the pair is the first in Australia to offer the complete package of test and tag labels, equipment and training. Another unique offering at Melbourne Materials Handling will be the Australian designed and made Pivot Safety Gate from Maass Products, which makes loading and unloading from mezzanine floors safe and simple. In contrast, lifting and shifting without any human interaction at all will be the focus of the Advanced Robotics stand, where a robot equipped with a vision system and vacuum lifter will complete a jigsaw unaided. Visitors who simply need durable, easy to wear clothing can inspect the triple-stitched beautifully finished workwear of new label, Jonsson. Carina Doolan, Exhibitor said that people should not have to pay good money for clothing that does not last or allow them down with buttons that come loose and zippers that stick. The Safety Institute of Australia will host the concurrent Safety In Action conference sponsored by WorkSafe Victoria and Downer EDI.